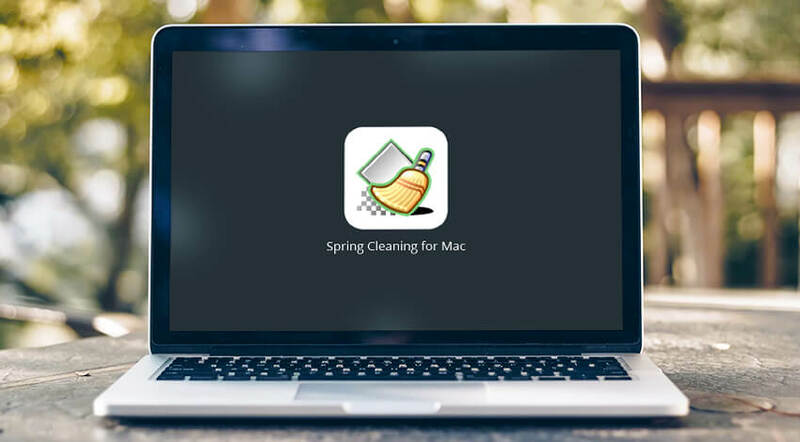 Spring Cleaning for Mac Review: Is It Worth Buying? “Regular Mac cleaning is a must for keeping it in good shape” has become a household phrase. So, why is spring cleaning even necessary? For starters, it can boost Mac’s performance and reduce its boot time to 20-30 sec. Removing 11-15GB of trash doesn’t sound bad as well! Good news is you don’t need to install third-party applications to do a basic Mac spring cleaning. Most issues can be resolved in the manual mode without using any extra software. Most users have a vague idea about the measures they should take to clean up their precious Mac. People looking for an easy way out can come across an application called Spring Cleaning 11 Deluxe. It is available for download online and offers a free 3-day trial period. The app costs $49,99 for both digital and physical copies. Low user ratings and the support of early Mac OS X versions (10.4 and 10.5 only) make it undesirable to use on the latest Apple machines. Be careful not to spend your money on suspicious apps! 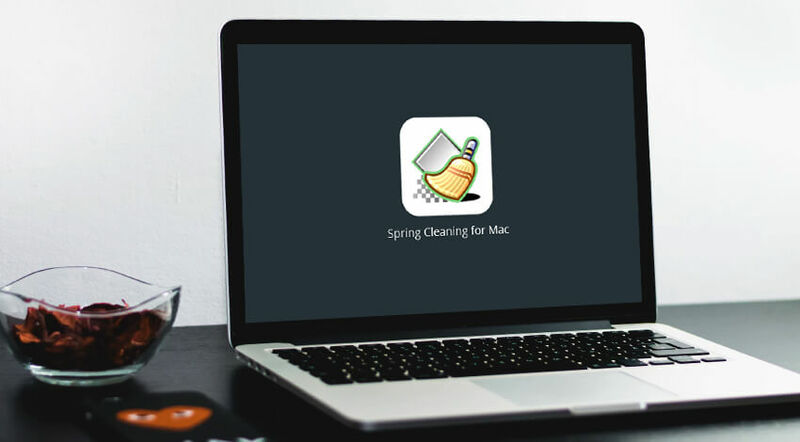 Do You Need Spring Cleaning Software for Mac OS X? To use or not to use a Mac cleaner seems to be an eternal stumbling stone. Depending on the severity of issues on a specific MacBook Pro/Air or iMac, the cleaning methods may slightly differ. Read on to learn about the 10 best ways to perform Mac spring cleaning without a special program. Users of macOS Sierra and High Sierra can use Optimized Storage toolkit. 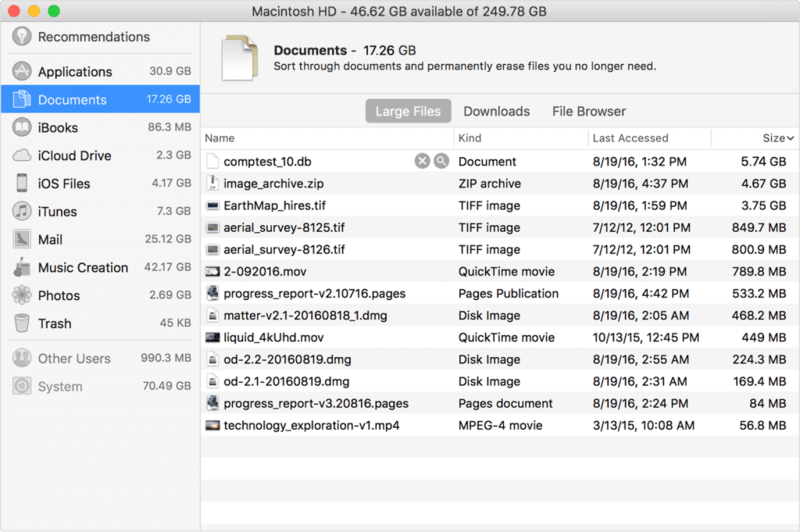 With a ‘Reduce Clutter‘ tool, locating large and old filed on a Mac won’t be a problem. Look for the applications, documents, and files you haven’t used in ages and delete them. Also, skim through the movie and TV show downloads. The average size of a movie is 3-5 GB, while the minimal capacity of a Mac’s SSD is only 128GB. Not all seldom used files are unnecessary. If you don’t want to delete particular documents and files from your Mac knowing you might need them someday, move them to iCloud. By default, users are given 5GB of space. However, it is possible to purchase up to 2TB of storage for $9.99. Use the Cmd-Option-L key combination for fast access to the Downloads folder. Look through the files to find those you don’t need anymore. As for the Mail Downloads folder, it keeps all of the mail attachments locally on your Mac. It is possible to configure the mail attachments download in Optimized Storage to avoid cluttering your Mac with unnecessary files. Finding file doubles is a tricky and time-consuming process, so you’d rather use the specialized third-party software. Duplicate cleaning apps have algorithms that run an in-depth scan of your Mac. They locate and remove the files of the same size regardless of their names. Rarely used or unused apps can take up to 4,9 GB of your Mac’s disk space. Drag the applications to Trash → Empty the Trash. After that, go to ~/Library/, ~/Library/Application Support/ and ~/Library/Preferences/ to remove residual application data. Using third-party cleaning applications will save your precious time, so you won’t have to go through the folders manually. Making regular data backups is awesome. Still, according to the statistics, 32% of Mac users never test their backup files. Old backups kept on your Mac tend to pile up and consume the precious storage space. Transfer them to the iCloud or on the external drive and feel the difference. Each user session hundreds of temporary files and caches are generated by applications. The file size might vary from 500MB to 5GB. Cleaning the space-consuming ‘byproducts’ from your Mac is important to prevent further clutter. Start with Safari browsing history. For a more in-depth cleaning, resort to third-party apps. This spring cleaning method is impossible to conduct without an anti-virus software. Most users believe that UNIX-based operating systems are immune to virus attacks. However, the statistics claim the number of malware attacks on Mac increased by 744% in 2016. So, if your Mac starts acting up for no visible reason, run a virus check immediately! Whenever you hibernate a Mac or put it to sleep, Mac OS creates a sleep image of itself to launch instantly. Depending on the apps launched on macOS, the image may take up to 16GB of storage. Use the following Terminal command to remove the disk-hogging sleep image on Mac OS X El Capitan and earlier: sudo rm /private/var/vm/sleepimage. Note: this command may not work after upgrading to macOS Sierra because it keeps important data within the sleepimage. Believe it or not, an unattended Trash can on your Mac can contain an array of useless data. Right-click the Trash icon, and select Empty the Trash from the drop-down menu. Finally, wipe your Apple machine clean on the outside. It is delightful to work on a Mac when it’s clean and shiny both on the inside and outside. Performing a regular Mac spring cleaning can help you keep it healthy and efficient. Most maintenance and optimization procedures can be done manually or using the onboard macOS utilities. Don’t be tricked into purchasing fraudulent third-party apps like Spring Cleaning 11 Deluxe. Buy only trusted applications from credible developers!